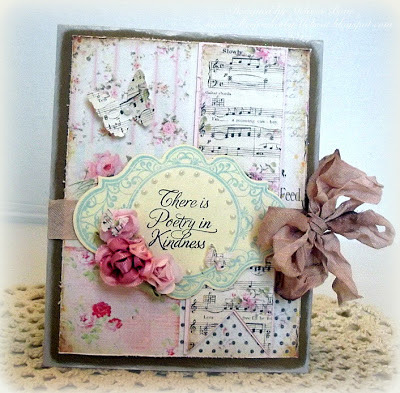 Becca's November Amazing Paper Grace Kit is simply Gorgeous! 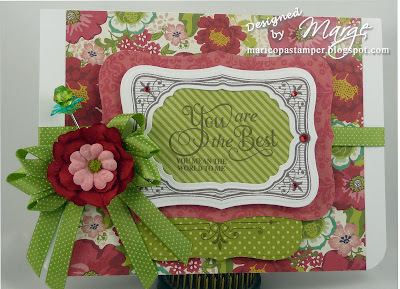 You are going to love this month's dies - an Elegant Set of Filigree Corner Dies. Perfect for embellishing this sweet Shadow Box Calendar, which is one of the 3 projects in this month's kit. It's challenge time again here at JustRite Inspiration. For JRFC #084, I want you to pull out those flowers and use at least 3 flower embellishments in your project. These can be bought or handmade and any occasion so it should be an easy one for those of you that have been hesitant to join in! CHALLENGE RULES: You will need to use JustRite Stamps on your project and upload it to an online blog, gallery or photo hosting website. You may make and enter as many different projects as you'd like for our challenges. You will then need to link to your project back here on our blog post, using the linking system on this challenge post. Please make certain your link is directly to your project, not just your general blog home page or overall photo gallery, so we can find it easily. (Links that are spam, commercial in content, or are not linked properly/directly to your project will be deleted). If you choose to upload your project to www.Splitcoaststampers.com OR ourFlickr gallery, please use the weekly challenge code (example:JRC_084 <== that's an underscore between the letters and numbers) in the keyword section of the Splitcoast project upload page or the tag section of the Flickr gallery. Today we are introducing the last two set in our October Release - Friends Antique Labels One and Embroidered Background Stamp. You will just adore the projects the design team created with these sets- They are Fresh fun and gorgeous color combinations! Join us the week of Oct 22nd - 26th to see projects designed by the JustRite Design Team and the Petaloo Design team.